We also handle all types of litigation involving commercial disputes. Many business lawyers offer guidance in contracts, regulatory obligations, tax, compliance with environmental laws, etc. These same lawyers are not typically equipped to step into a courtroom and enforce your company’s rights when a dispute arises. 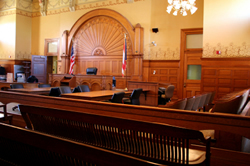 Litigation is a specialized area of the law that is necessary when a dispute arises. At that time it is not feasible to be paying your business lawyer to “learn” how to truly protect your rights in such disputes. As an analogy, it may be proper to seek the advise of a cardiologist when you begin having some difficulty with cardiac function, but when you are finally in need of bypass surgery, it is best to call in a cardio-thoracic surgeon to perform the surgery. We have handled various business cases in litigation successfully and would work with your in-house or business lawyers to handle these matters to your benefit. We have handled cases involving both large and small companies in such areas as breach of contract, collection matters, and breach of fiduciary duties. As a boutique litigator we can manage such cases far more economically than large business firms with many layers of involvement which creates excessive fees.